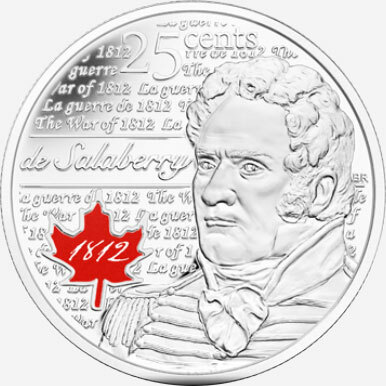 Despite the legend arising around Lieutenant Colonel Charles de Salaberry and the Battle of Châteauguay, including the assertion that 300 Canadians had forced the retreat of 7,000 Americans, the significance of that battle and de Salaberry’s role in it remain indisputable despite historical exaggeration. 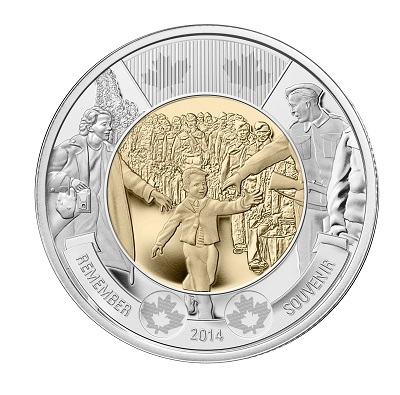 The actions and heroism of de Salaberry and the Voltigeurs remain key moments in the War of 1812. 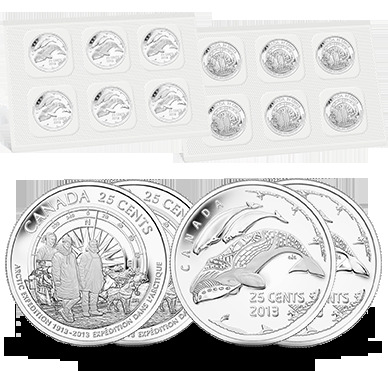 Your coins are a tribute to the heros of the War of 1812 and will make an ideal gift for Canadian historians and admirers of military history. 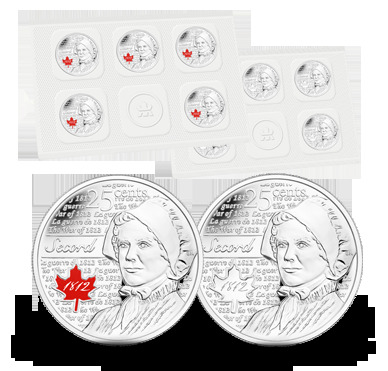 • You receive ten 25-cent coins - five coloured and five non-coloured quarters. 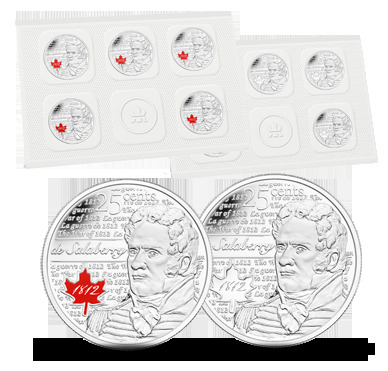 • Five coins feature a painted Government of Canada 1812 logo, while the other five non-coloured coins features frosting on the profile of de Salaberry. 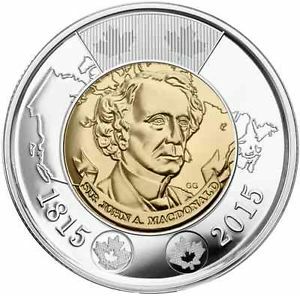 • 4th in the series of War of 1812 coins. 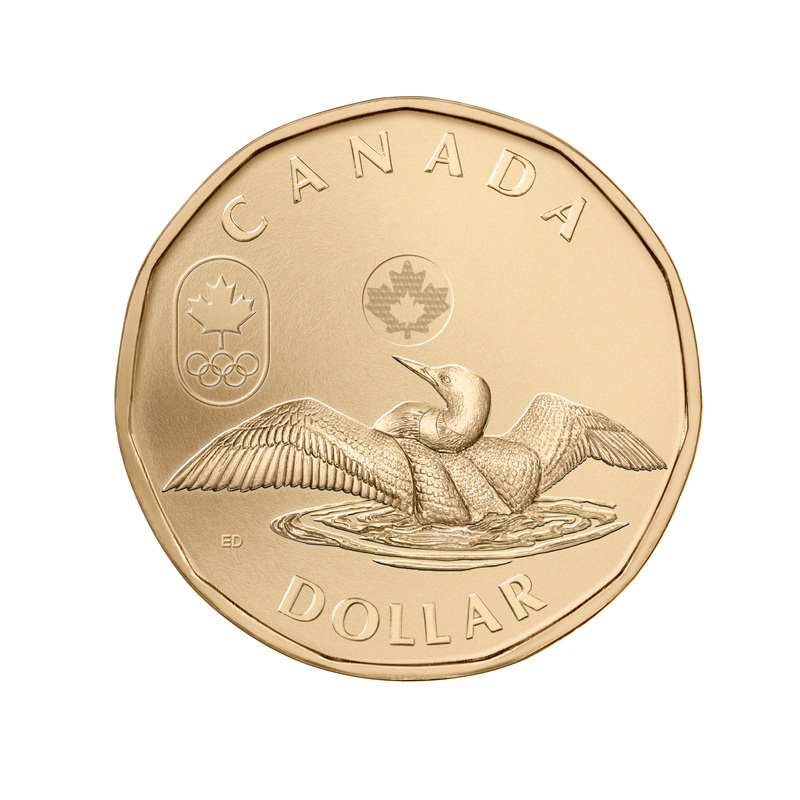 Your coins feature de Salaberry against an intricately engraved background comprised of the words “The War of 1812” in both English and French. Artist Bonnie Ross used various image sources of de Salaberry to design the ideal image. 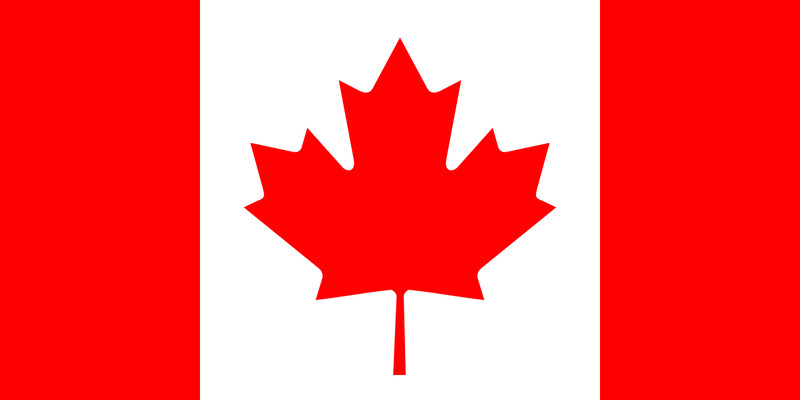 Also featured in the design is the painted Government of Canada War of 1812 logo composed of a beautiful stylistic 1812 typography.